If weight loss is on your mind and you are on a mission to lose those extra kilos, then you must have tried and experimented with various weight loss diets and regimes. While on a weight loss spree, most of us often forget the importance of detoxifying the body. When choosing a detox diet, one should go for the one that is not only specifically designed for weight loss, but is quite healthy as well. One classic detox option is that of cucumber and lemon water. Both cucumber and lemon are replete with health-benefiting properties. According to the book, 'Healing Foods' by DK Publishing House, "The watery composition of this member of the gourd family is packed with bioavailable (easily absorbed) minerals, vitamins, and electrolytes, making it an ideal way to increase your daily nutrients. Cucumber also contains phytoestrogens and digestive enzymes that benefit the gut. It is known for being a classic cooling food, helping to maintain the body's water balance on hot days." Cucumber and lemon water help in providing the antioxidants that are essential for efficient functioning of the body. "Lemon boosts digestion and has alkalising and detoxifying properties. 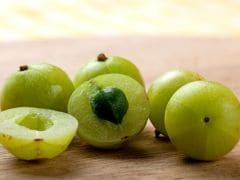 They are a natural diuretic and can help reduce swelling, inflammation, and edema (water retention)," notes the book 'Healing Foods'. Good digestion is linked to healthy weight loss. 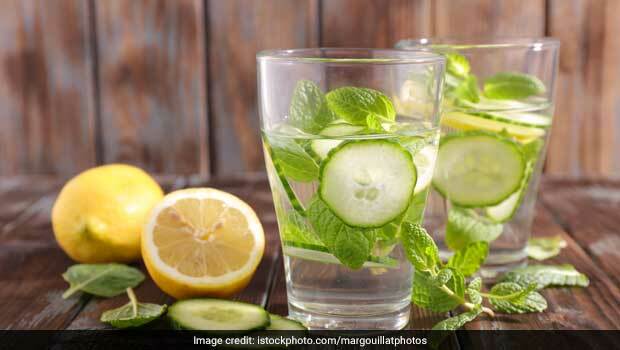 Having cucumber lemon water once in a day early in the morning can do wonders for your weight loss journey. All you need to do is to take a lemon and a cucumber and slice them evenly. Make sure you slice them thick so as to retain their optimal flavours. Add the sliced cucumber and lemon bits in a tumbler and pour water to it. Allow it to stay for a while so that the flavours get infused. You can either drink this detox drink early in the morning or can even carry it to your workplace and sip on it through the day. In order to increase its nutritional value, you may also add other healing herbs and spices like fennel, black pepper and mint. You can make this classic detox drink a part of your weight loss diet and see quick weight loss results for yourself. If you know of more such healthy detox drinks, then let us know in the comments section below.